October is internationally known as Breast Cancer Awareness month, but at Flinders Foundation, we like to go above and beyond! Flinders Foundation is proud to partner with Foodland throughout October to support South Australians affected by cancer. Foodland are committed to the community and are proud to support fundraising for cancer awareness, research, prevention and support in South Australia. 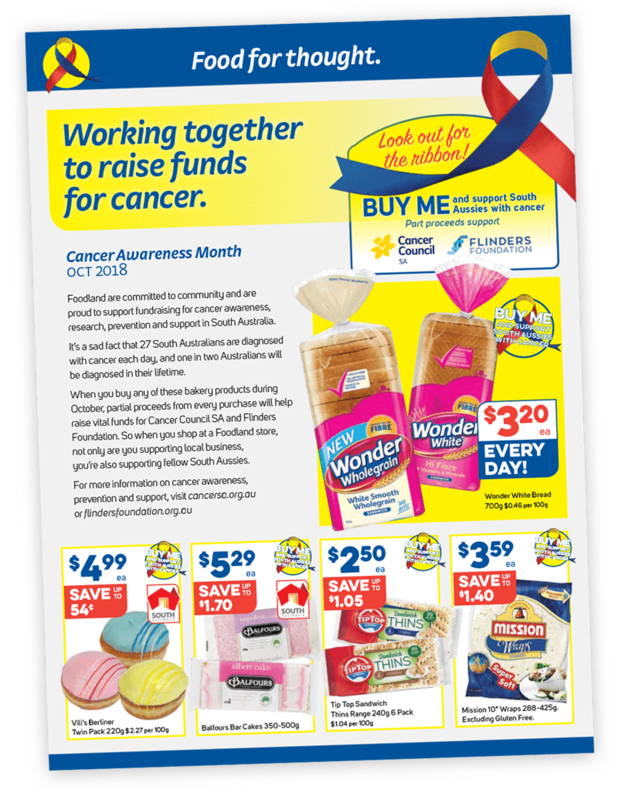 When you buy any specially marked bakery products during October, part of the proceeds will go to Flinders Foundation to support world-class cancer research. So when you shop at a Foodland store, not only are you supporting local business, you’re also supporting fellow South Aussies. From Vili's Berliners to Wonder White loaves, look out for the ribbon and throw a few treats in your trolley!